So how did I spend part of my Spring Break last month? 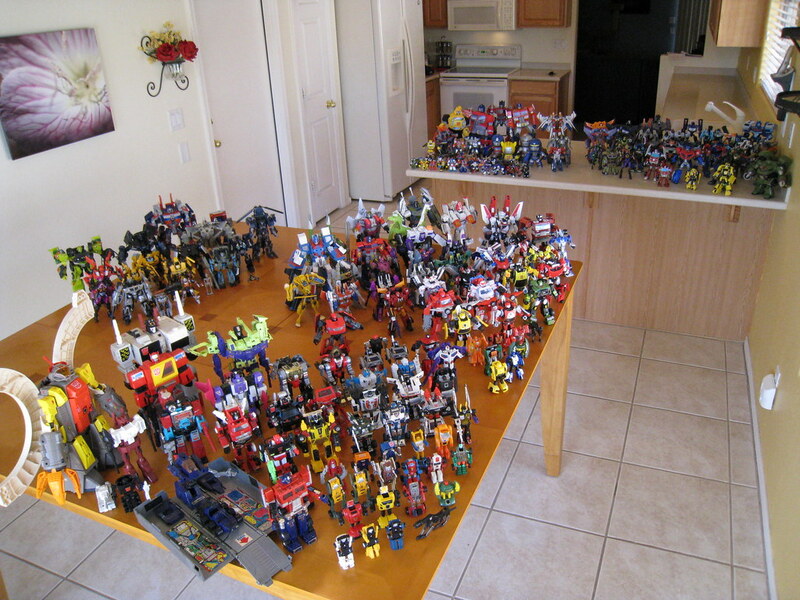 Why I cataloged each and every piece of Transformers stuff that I own, everything from back in 84′ to current day! So that I had a complete listing of my stuff before Botcon 09, I pulled down every storage bin down from the attic and gathered the others from my closet. I then proceeded to transform them into robot modes and separate them by series and size. The photo to the left is the fruit on my labors after about I’d say 8 full hours of work. They just barely fit onto our kitchen table and counter. It includes every toy and statue that I own, including the few duplicates. So once I was done with getting them into robot modes, and after a night’s worth of sleep, I just had to transform them back into their alternate modes. That process took another half-day and the photo to the right is the final alternate mode display. 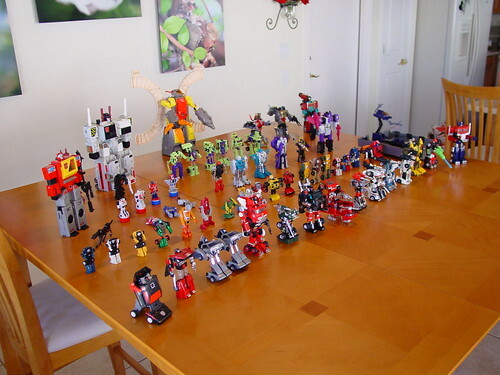 A large majority of these toys, especially the old school Generation1 toys, were gifts from multiple birthdays and Christmases. They go way back to Windcharger and Sunstreaker as the original toys I received. Save for a few unique pieces, each toy was purchased back when it was available for the regular retail prices. I don’t spend large amounts of money to get individual figures or old G1 figures. These are my figures from back in the day along with recent retail purchases. It sure was a lot of work, and although it looks like there are hundreds of Transformers strewn about, I was shocked to see the final count so small. Below is the breakdown by series. So the total count is quite less that what I had expected, but I still have tons of different items. Generation 1, Generation 2, Classics/Universe, Movie, Animated, Robot Heroes, Mighty Muggs, comics, books, and lots of other wacky items. If you are interested, you can see the complete itemized list here. Individual and group photos of almost all of the items can also be seen by visiting the Flickr set for the collection. 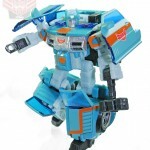 Of course the collection will continue to grow with items purchased at Botcon, the final Transformers Animated toys, as well as the entire Revenge of the Fallen toys from the upcoming movie sequel. The key to my collection is that these toys have and always will be kept out of their packages. They will be played with, transforming back in forth many times between modes. In addition, I don’t keep these toys because they are “worth” anything. I keep them because they are a part of my childhood and an extension of that childhood into my future. 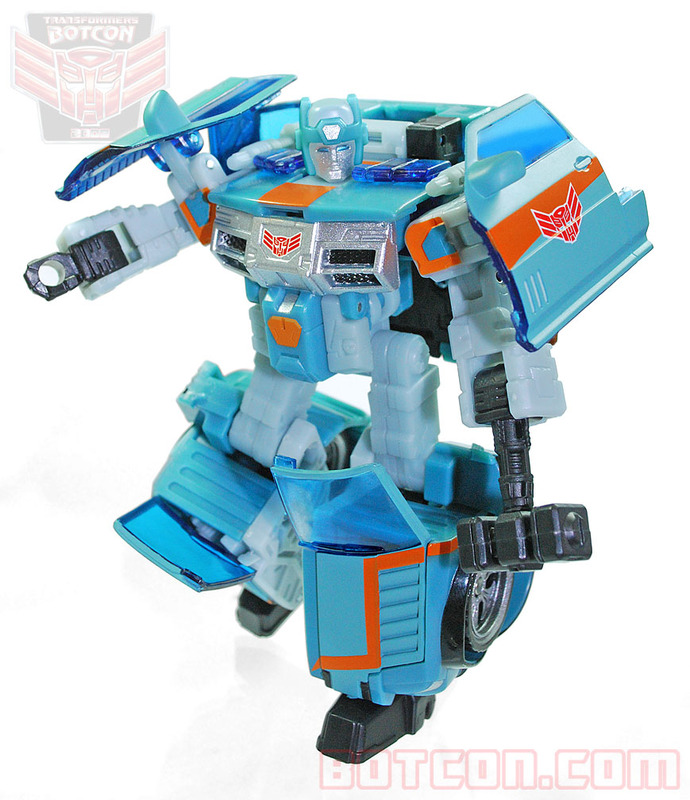 Transformers for me are something that I really enjoy, and I don’t ever see myself selling a single one. 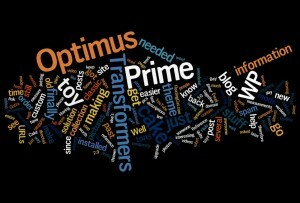 Well, it’s official as I’ve fallen down the rabbit hole into my obession with Transformers. Jessica and I are set to go to BotCon 2009 in Pasadena, CA. It’s one thing to bake a cake, it’s one thing to take tons of photos of toys, it’s an entirely different matter when you start attending conventions. This will actually be my first convention of any type that I will have attended. Never done the comic book thing, nor sci fi thing. We did go to a small 3D photography convention during a trip through the midwest last year, but that was Jessica’s idea and quite small. I was lucky enough to get my form in time to get into the lucrative Thursday customizing class. Oh yeah, I get to learn how to make regular toys into custom toys. That is really gonna help with my addiction. Looking back through some of my starred Google Reader feeds, I came across a link to a interesting service called Wordle. It will take a list of text from a source (say a blog or rss feed) and then create a piece of typographic art that lists the most common words. You can then edit some of the settings like fonts, colors, and layout and have the page redraw the piece to your choosing. 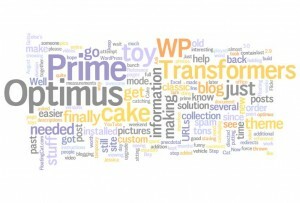 What does your blog or site look like in a Wordle? A bunch of people have asked Jessica and I how we went about making that semi-famous Optimus Prime Cake of ours. This post should contain information on how to go about making one for yourself. I hope this information will help any of you would-be Transformers bakers. Let me know if you need additional help and be sure to share any pictures if you attempt to make the cake! 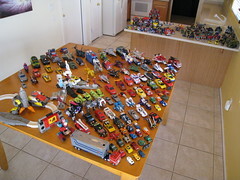 In order to build our Optimus Prime cake, I needed to go into our attic and get down my classic Transformers toys. We needed to see and measure the classic Generation 1 Optimus Prime toy as reference, and in order to get to him, I needed to get them all down. So for the past couple of weeks, I’ve had my entire Transformers collection sitting around in my office just dying to be played with. I figured it was a good time to document all of my stuff, and so I spent a day this past weekend cataloging them all with photos and video. 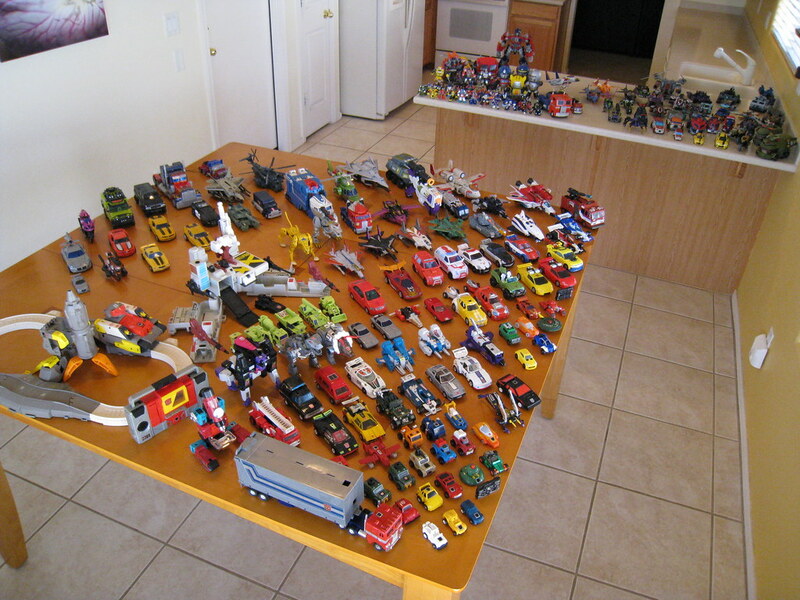 I took tons of pics with at least 2 for each toy; once in robot mode with all their gear and once in vehicle mode. I don’t think I’ll be putting any YouTube videos together, but I did post all of my stuff up on Flickr. Each toy is named, and funny anecdotal information that I could remember was thrown into the descriptions. 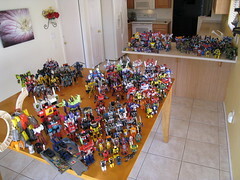 It’s quite interesting seeing just how much Transformers stuff I actually have. Just got back from an 8pm showing of the new Michael Bay directed Transformers. In a word, it was awesome. It was worth the wait. Now I just got to determine when I’ll go see it again. 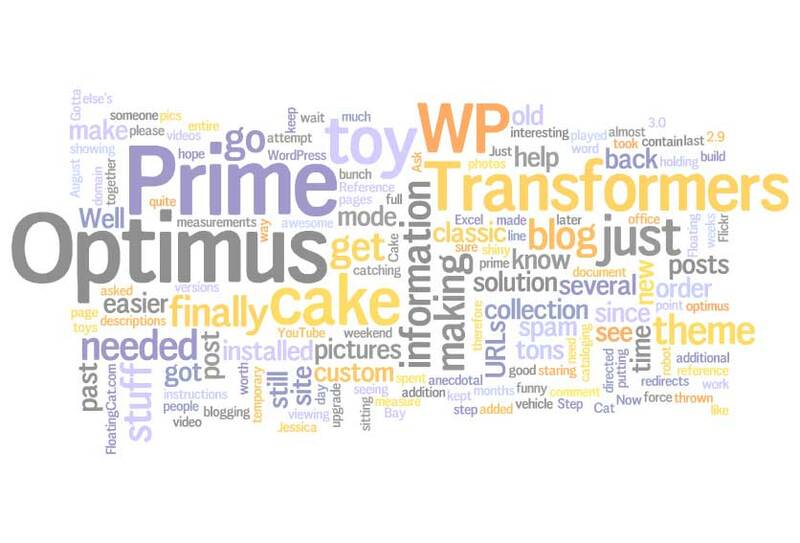 Last week I sent a link to Jessica about a Transformers cake that was coming to Wal-Mart. It was your standard grocery store sheet cake with a toy topper that was a real transforming Optimus Prime from the upcoming movie. That link set the gears spinning to do our own Transformers cake. But instead we were going to not just do the topper. Oh no, instead the entire cake was going to be Optimus Prime. And he was going to be big. So after baking 12 8×8 white cakes (9 of which were used), using 5lbs of white fondant, 6 cans of Color Spray, 3 batches of buttercream, 2 vials of silver dust mixed with vodka, and 2 very long days crafting this piece of edible art: we had ourselves our own Optimus Prime cake. More details about the process are available in the Flickr set about the project, as well on my wife Jessica’s blog. In the end, it looks like we completed our goal and also made the 1984 cartoon variant of Optimus Prime quite happy. My first try at a Transformers cake came back in December of 1984, almost 23 years ago. Using a simple sheet cake made straight from the box; all I needed was some white frosting, a little food coloring, and some colored gels to let my creativity fly. All in all, I think it turned out well for someone who was 8, had no real experience and only used basic grocery store bought tools. In the end, it tasted good and that was all that really mattered.